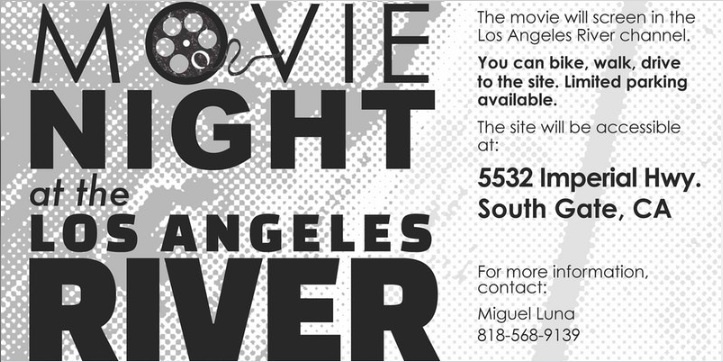 Enjoy an outdoor summer movie night in an iconic location when Summer Movie Night brings Moana to the Lower L.A. River on July 15. Taking place in South Gate and hosted by Assembly Member Anthony Rendon, the event will feature informational booths, food trucks and family-fun activities. Bring your friends and family and a comfortable chair and blanket. This is a rare opportunity to enjoy an exciting, FREE viewing of this charming animated film inside the river channel. Festivities begin at 6:30 p.m. As parking is limited, you may want to bike or walk to the site. Enjoy!